Flowing 560 kilometres from the Mackenzie Mountains to the Liard River, Nahʔą Dehé (South Nahanni River) is one of Canada’s most spectacular waterways. An incomparable northern wilderness, Nahʔą Dehé harbours the deepest canyons, sacred sites such as Gahnįhthah (Rabbitkettle Tufa Mound) and, at the heart, Náįlįcho (Virginia Falls). Rich in wildlife such as moose, Dall’s sheep, grizzly bears and Woodland caribou (mountain population), the river is a gem of Nahanni National Park Reserve in the Northwest Territories. This is a cultural landscape—the traditional home of the Dene, whose ancestors have inhabited this area since time immemorial. Today, Nahanni National Park Reserve is cooperatively managed by Parks Canada and Dehcho First Nations. 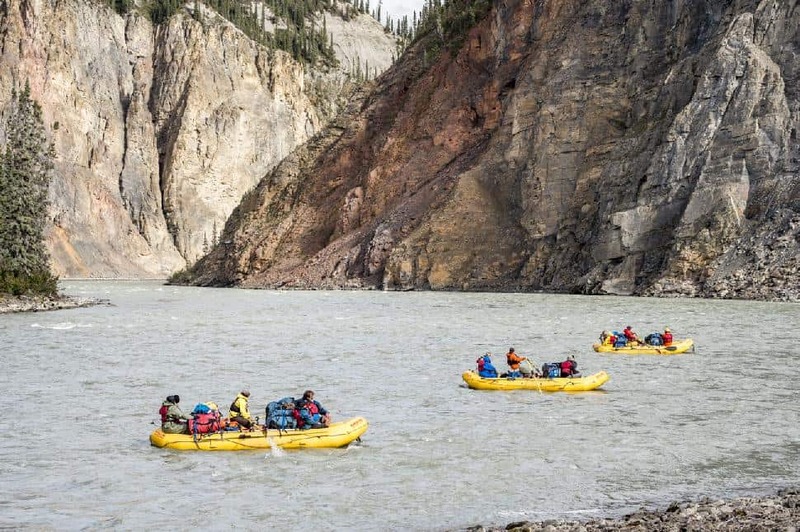 For outdoor enthusiasts, the Nahʔą Dehé (South Nahanni River) is considered a Bucket List river trip. (Legendary Canadian paddler Bill Mason dubbed it: “The greatest river trip in the world!”) In 1994, Nahanni implemented a cap on the number of licenses to protect the ecological integrity of the park, and since then there have not been any new operators in Nahanni. During that time three operators offered memorable multi-day and multi-week journeys through this iconic northern wilderness. For the first time since the 1990s, Parks Canada is offering a new guiding license on Nahʔą Dehé (South Nahanni River). This new licence may allow a successful applicant to become the first new operator permitted to guide trips on this remote, protected river. 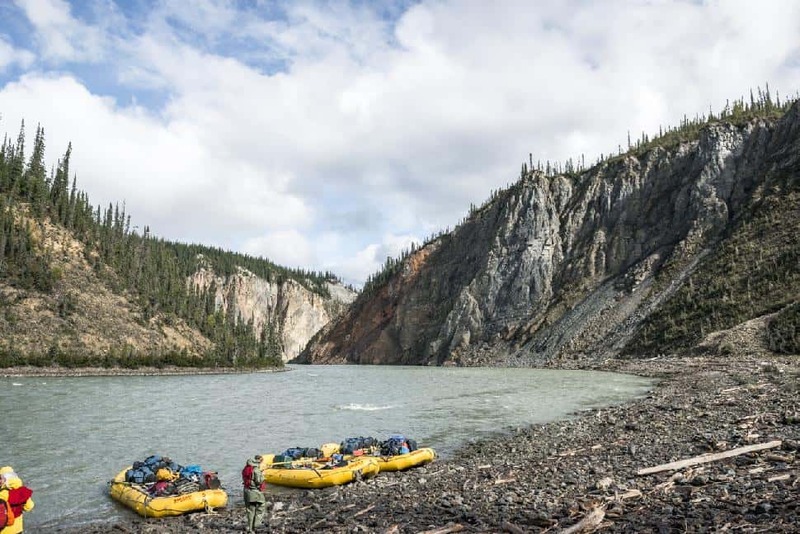 Currently, two outfitters operate on the Nahʔą Dehé (South Nahanni River)—BlackFeather, and Nahanni Wilderness Adventures—and will continue to do so, as, according to Parks Canada, they have more than three decades of exemplarily operations. 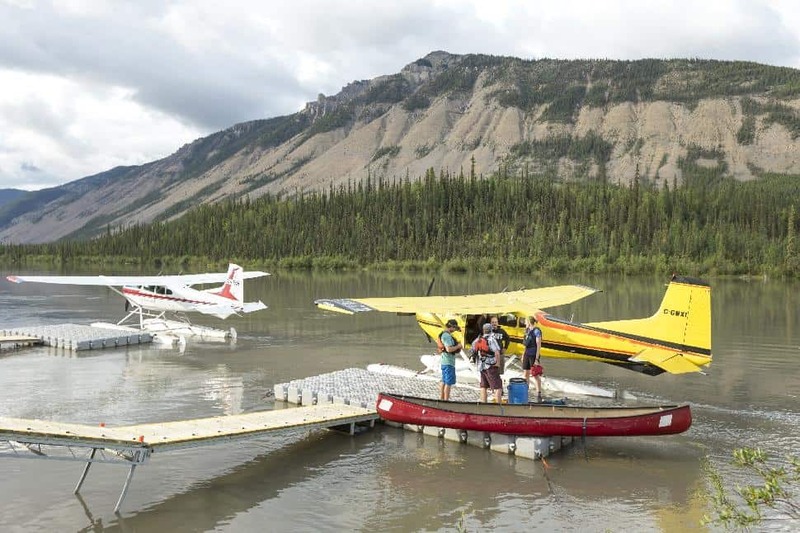 “As part of the process for developing Nahanni National Park Reserve’s new guidelines, the park’s co-operative management team undertook extensive consultations. In the course of this review, it was determined that there was room for an additional licence to be awarded without impacting the ecological integrity of the park or the wilderness experience for which Nahanni is famous,” Parks Canada stated in a recent release. Any new operator will be required to meet strict criteria, as outlined in Parks Canada’s Guidelines For Licensing Of Guided River Outfitting In Nahanni And Nááts’įhch’oh National Park Reserves and Business Licensing PolicyForGuided River OutfittingInNááts’įhch’oh And Nahanni National Park Reserves. But What Does This Mean for the Visitor? If you’re an experienced river outfitter looking to expand your product offerings and/or diversify your operations, pursuing the only new licence for Nahʔą Dehé (South Nahanni River) in the last 30 years could be the right move for your business and Parks Canada wants to hear from you. All applicants that meet the criteria laid out in the Business Licensing Policy for Nahanni National Park Reserve are eligible to apply for the open licence. Applications can be obtained by emailing pc.nahanniinfo-infonahanni.pc@canada.ca. And if you’re a traveller looking for the ultimate river journey, click the links below to learn more about Nahanni National Park Reserve. This was sponsored by Parks Canada.